It's not a secret that the economy has been on a roll and the Dow Jones Industrial Average has gained 31% over the past year. Another area that should not be a secret is that Banker Lopez Gassler has a debtors' rights, creditors' rights and bankruptcy department. The bustling economy has slowed new bankruptcy filings to a trickle, but there are still several areas where Keith Appleby might be able to help you. Negotiate payment, workouts, or forbearance agreements. If you are insured, but subject to a judgment in excess of your policy limits, please consult with Keith before filling out financial affidavits or other disclosures that may result in demands or future claims against your assets. Both Federal and Florida law provide many exemptions to protect your assets from creditors. 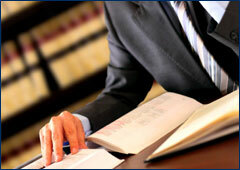 There may be situations where he can help protect you from excess judgment collection claims. *We can't and won’t help or assist a client in hiding assets from creditors, but many times it's not necessary under Florida's very debtor friendly laws. Please call Keith if any bankruptcy related issues affect you. Many times, Defendants and sometimes Plaintiffs, will file bankruptcy to slow down the case and avoid trial. Keith can help get relief from the bankruptcy's automatic stay to allow your case to continue moving forward. Other times, Keith may be able to help improve our client's claim against the debtor. Many bankruptcy statutes are strictly construed. If you miss a date, you may have waived any claims that you may have against the debtor. Alternatively, if you are too aggressive in your claim and violate provisions of the bankruptcy code, you may lose rights that you validly hold. If debt collectors or creditors are seeking to enforce claims against you that are not valid or have reported claims improperly against you, Keith can help get those corrected through the reporting agencies. If you need to collect money or if someone's trying to collect against you, give Keith Appleby a call. He may be able to help.